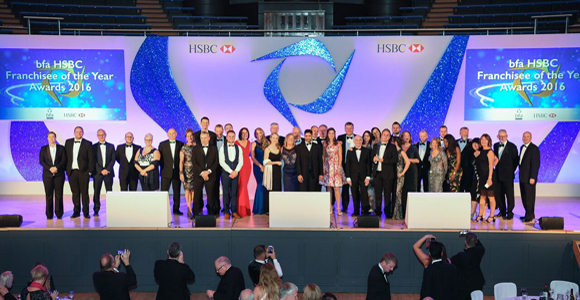 The BFA has announced the finalists for its annual BFA/HSBC Franchisor of the Year awards, which this year has seen a 32 per cent increase in entries. Franchisor of the Year – Agency Express, Autosmart, Costa Coffee, Driver Hire, McDonald’s Restaurants, TaxAssist Accountants. Emerging Franchisor of the Year – Angela’s Swim School, Fitness Space, We Love Pets. Brand Awareness – Barking Mad, Riverford, Stagecoach Performing Arts. Award for Innovation – Home Instead, Mac Tools, Tutor Doctor. Award for Franchise Support – Bright & Beautiful UK, Expense Reduction Analysts, Revive! Auto Innovations. Andrew Brattesani, UK head of franchising at HSBC, added: “To recognise the achievements of all the finalists is an essential part of promoting excellence and best practice for all franchisors working in the UK. All finalists present their case to a panel of expert judges that includes Brian Smart QFP (chair of the judges), Pip Wilkins QFP, Jane Masih (director of Owen White Solicitors), Alan Wilkinson QFP (head of UK franchise development at The Franchising Centre) and Derrick Simpson (BFA Companion). The winning entries will be announced at the Franchise of the Year awards at the BFA Annual Conference on 28th June 2018 at the International Conference Centre, Birmingham.